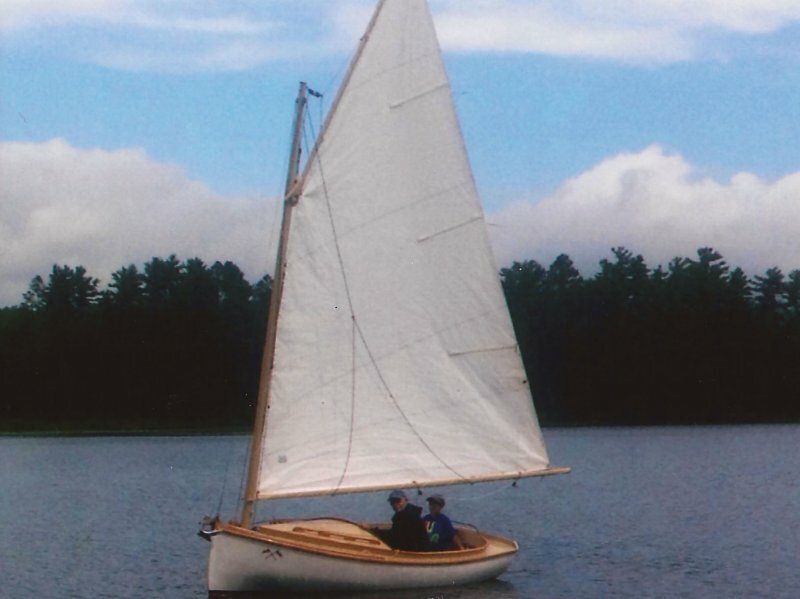 Wayne Brown spent two years building this 12′6″ catboat designed by William Garden. DON GATO is a strip-planked Tom Cat design launched at Ghost Lake, Wisconsin last July. Wayne says she sails nicely with three people aboard, trails beautifully, and takes about an hour to rig and unrig. He may trailer it to Florida from his home in Illinois.